Slaidburn is a delightful village on the banks of the River Hodder, in the moorland area of the Forest of Bowland, which is a designated Area of Outstanding Natural Beauty. It is unsurprisingly a very popular area for hikers and for people who want to live the good life, due to its abundance of rich agricultural land. Here at Hog Roast Slaidburn, we also love helping people live the good life, by providing fantastic food for all special occasions in the area, all freshly prepared at the location of your choice using only the highest quality, locally-sourced ingredients. Our superb, ethically reared meat, advanced cooking equipment and skilled mobile catering team are the winning combination that allows us to provide the best hog roasts in the area. You won’t find more succulent, flavoursome meat or chefs better equipped to prepare it to perfection anywhere in Slaidburn. Our hog roasts may be the star of the show, but another major factor that makes the Hog Roast Slaidburn team a cut above, is our impressive collection of varied and inventive menus. Our food is suitable for all diets and special occasions and we have the ability to prepare all of our menus, no matter how complex, in any location in Slaidburn. 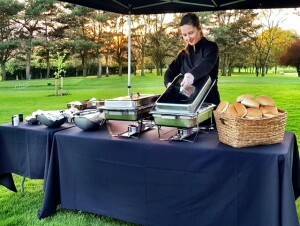 From big buffets for a large party or outdoor event, to elegant 3 course meals with canapes for wedding receptions, we can do everything and most importantly, do it very well. All of our menus have a multitude of options that cater for all tastes, including vegetarian dishes and an array of salads and side dishes with both traditional and more contemporary flavour combinations, depending on your tastes. We are committed to freshly preparing everything on-site whilst our tender pork (or lamb, beef or chicken if you prefer) is being delicately roasted over the course of several hours until it is falling off the bone. We work tirelessly throughout the day to ensure everything is exactly as you want it and ready to be served right on time. 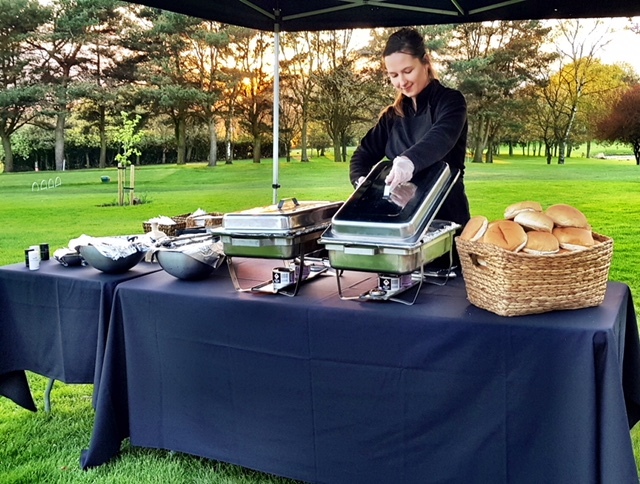 The Hog Roast Slaidburn team stop at nothing make sure that all your guests have a great time, love the food and are very well taken care of from start to finish.